“I would like to have your suggestion as to a healthy bread. I had settled on a bread by Ace which had whole wheat flour as the first ingredient and lots of seeds, but it is sooo confusing. What is enriched wheat flour, which is the first ingredient on a lot of breads?” asks Linda Toenders via Facebook. Linda, you’re not alone in your confusion as to what constitutes a healthy bread. We are constantly being bombarded with a great deal of misinformation about grains which definitely contributes to the difficulty in making enlightened choices. Add the bewildering labelling laws to the mix and sorting the wheat from the chaff – or finding whole grain products – can be a tough task indeed. Firstly, don’t be fooled by the colour of a loaf of bread or by the name of a product. Dark breads, for example, may contain very few whole grains, if any, and may simply be dark due to the addition of a colouring agent like caramel or molasses. A label which states multigrain may indeed signify the presence of assorted grains but they may refined, not whole grain. A whole grain must contain the entire kernel of the grain – the bran, the germ and the endosperm. And it is this entire package that’s linked to the wide range of health benefits. Most refined grains, on the other hand, are missing the nutrient-rich bran and germ which are removed during the refining process. Check ingredient lists for the term whole grain, keeping in mind that ingredients are listed in descending order by amount. So if the first ingredient is enriched wheat flour, then be aware that it’s not a whole grain product. At one time, enriched wheat flour was listed simply as flour but in order to identify ingredients more precisely, it was changed to wheat flour. But make no mistake about it, while it may be enriched with some of the nutrients originally found in the whole grain, it’s missing the valuable germ and bran and all the phytonutrients such as antioxidants these components contain. In addition, folic acid has also been added to white flour products in higher amounts than would be found in whole wheat naturally. Also be aware that many products which are called whole wheat may not be whole grain even if the package states 100 % whole wheat – surprising but true. Look for whole grain whole wheat. In Canada, outdated legislation (from 1963) allows for up to 70 per cent of the germ to be removed and the product can still be called whole wheat. Pick up a loaf of 100 % whole wheat bread and think you’re getting whole grain? This ridiculous law has been a particular pet peeve of mine. 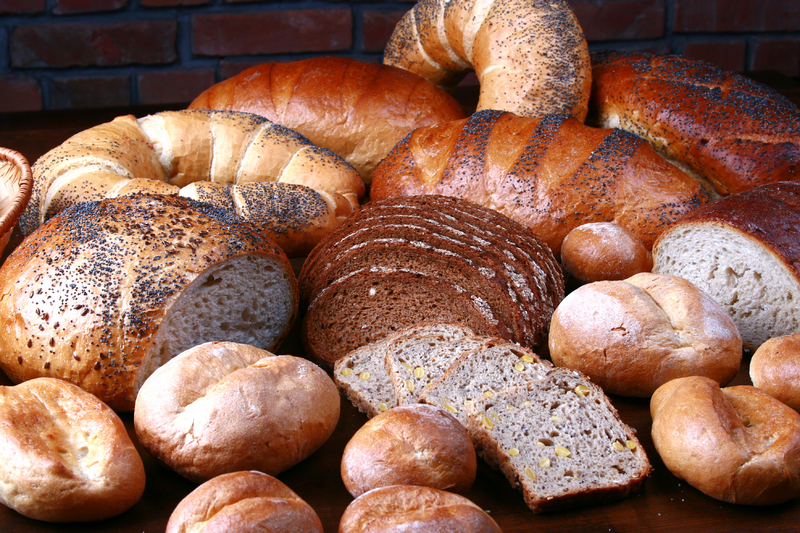 Another factor in determining the best choices in breads in their glycemic index (GI). It’s a calculation that compares the rate of digestion of an assortment of foods to either that of white bread or the sugar glucose, both speedily digested carbs which rate a high GI reading of 100. A selection with what’s considered to be a lower GI food is one that rings in under 50 or 70 depending on whether bread or glucose is the test measure. A decreased risk of a number of diseases including easier waist management, heart disease, certain cancers, diabetes and some vision disorders is linked to lower GI foods. But here in North America, the GI value of a food is not listed on a label. So how do you choose breads with a lower GI? Consider how finely ground the grain may be. For example, large flake or rolled oats have a much lower GI than do the finely chopped instant oats. So opt for breads that appear to have intact grains where some of the grains are still visible. Include products like cracked wheat (bulgur), barley and quinoa. In addition, go for a variety of grains to reap an assortment of benefits. And last but not least, check out the portion size. Breads, like many other foods, are suffering from portion distortion with slices now being larger or heavier than ever before. Slices used to weigh about an ounce or 25 to 30 grams yielding a 2-slice serving size weighing 50 to 60 grams. Now many are listed as 90 grams – the equivalent of three pieces of bread. Go for the old-fashioned 60 gram maximum. If you have a bread maker or bake your own at home, also be sure to keep slice sizes in check. There’s nothing like the temptation of overeating hot, right out of the oven bread. Do you have difficulty in selecting the best breads? What kind of challenges do you encounter? What is your favourite? Please share in the comment section below. Rosie, do you also look for unbleached and unbromated flours? Those are good questions, Diana. Ideally yes to both but if people are selecting whole grains, then I don’t believe that bleaching is an issue. As well, when it comes to those breads without bromine, moving towards whole grains I think should come first. And in many cases, these flours are not readily available in all supermarkets. i chose country harvest-ancient grain……..is this a good choice? Paula, Country Harvest Grain Bread is packed with whole grains but each slices contains 120 calories. I’m not sure of the weight of each slice but I am guessing that it could be the equivalent to 1 1/2 slices of what used to be called a slice of bread. So whether it’s a good choice or not also depends on your total calorie and carbohydrate quotas. I use ezekial or stonemill sprouted grains. I was told that they have a lot of enzymes in them. Rosie what do you think of them? I am hypglycemic and these breads are lower in carbs. Sprouted grain breads are a great choice. They are easier to digest and allow for greater absorption of some nutrients like zinc. They also tend to be higher in fibre. As for the carb counts, I think that these breads are lower than others simply because of their weight or size. They are not oversized as many breads on stores shelves are these days. I’m glad that you talked about checking portion sizes, so you don’t end up overeating. 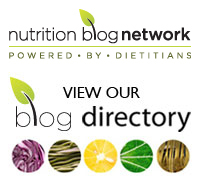 I have been looking for healthier food options, because I’m trying to lose weight. I can see how it would be good to choose bread that has a normal portion size, so I don’t eat more than I intend to.